It's unlikely that this beautifully produced text-and-photos archive will ever be superseded. 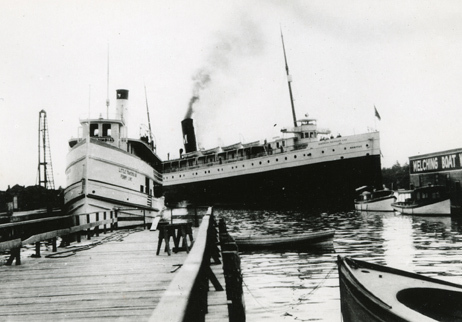 In the early 1900s, the Little Traverse Bay area in northern Michigan was transitioning from a sparsely populated lumber region to a hotspot for tourists. 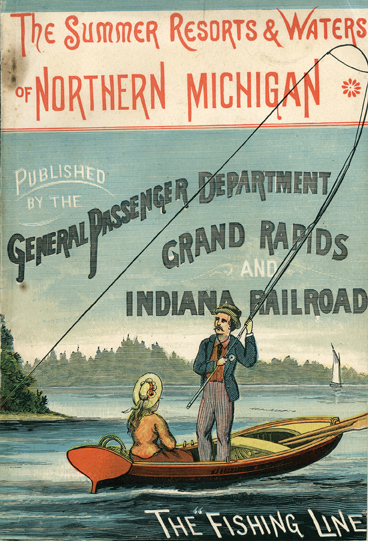 Looking to enhance dwindling freight business, the region’s railroad and steamship companies mounted elaborate and effective marketing campaigns to lure tourists from as far away as St. Louis, Kansas City, and Louisville to experience the area’s pristine natural beauty and abundant leisure activities. 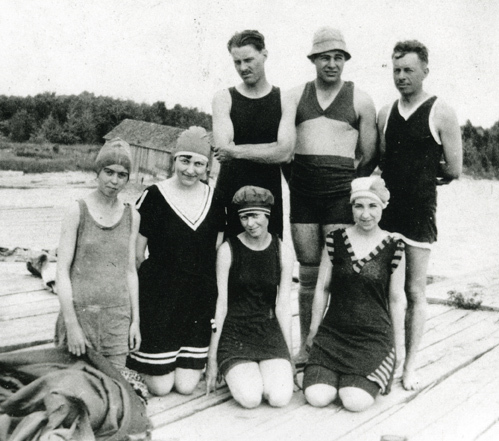 Ernest Hemingway’s family was among those who vacationed "up north" in this era; his parents built a cottage on Walloon Lake near Petoskey to summer away from their home near Chicago. 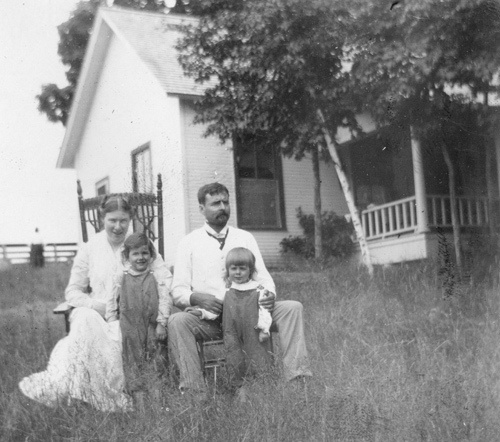 In Picturing Hemingway’s Michigan, author Michael R. Federspiel introduces readers to the Hemingway family, who were typical of many that vacationed in the area. He also paints a picture of life in northern Michigan between 1900 and 1920 and traces the many connections between the area and Hemingway’s body of work. 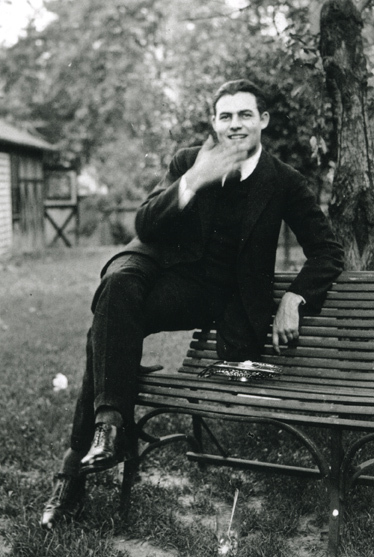 In chapters that incorporate candid family photographs from the Hemingways’ own collection, historical images of the region, and archival excerpts from Hemingway’s letters, journals, and stories, Federspiel shows that the region left an indelible mark on the young writer. To reveal the connections between northern Michigan and Hemingway’s fiction, Federspiel examines not only Hemingway’s famous Nick Adams stories, which were set in the area, but also later works like A Moveable Feast. With more than 250 images, Picturing Hemingway’s Michigan leads readers on a tour of the people, places, and activities that deeply influenced one of America’s most famous authors during his twenty-two summers in northern Michigan. Anyone interested in Michigan history, the life of Ernest Hemingway, or the culture of the early twentieth century will enjoy this beautiful volume. Michael R. Federspiel is professor of history at Central Michigan University and serves as the president of the Michigan Hemingway Society. 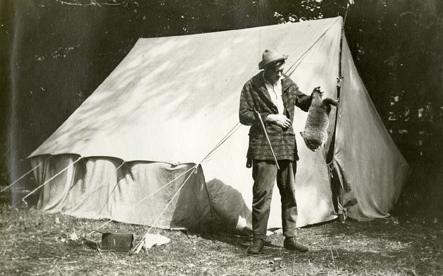 It's unlikely that this beautifully produced text-and-photos archive will ever be superseded; libraries, collections and the Hemingway family offered unique materials to Michael Federspiel, president of the Michigan Hemingway Society. 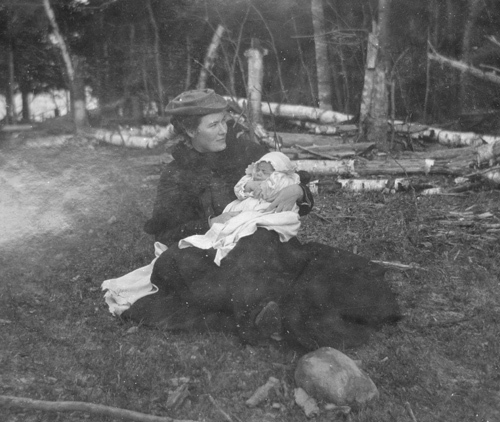 The Hemingways, particularly young Ernest, and the attractions of Little Traverse Bay and the Petoskey area in the 1899-1920s are abundantly depicted. A must for Hemingway (and Nick Adams) enthusiasts." . . .the luminous new 'Picturing Hemingway's Michigan'. . . deftly assembled by Michael R. Federspiel, a Central Michigan University historian who is the president of the Michigan Hemingway Society, provides for us who can only visit this place an intimate and indispensable view of Hemingway and old Michigan. Picturing Hemingway's Michigan by Michael R. Federspiel, explores Hemingway's connection to the state. In photos, postcards, maps, posters and snapshots, the book chronicles Northern Michigan summers in the early 1900s, highlighting their profound effect on your Ernest and his later writing. 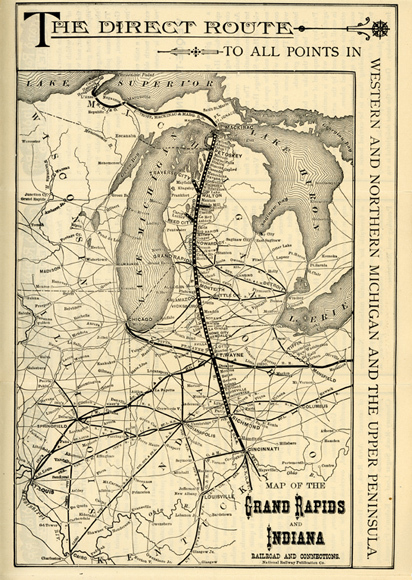 The book also underscores the mind-boggling logistics of taking a large family north for the entire summer in the early 1900s." Federspiel's book, Picturing Hemingway's Michigan, published by Wayne State University Press, is a magnum opus in both its look and its content. The book would have been superlative if only the words painted the picture of a young man's formative years, but with more than 250 images, many never seen outside archive walls, the publication becomes a work of art." Federspiel's lively book is chock-full of Hemingway family life, chronicled in more that 250 photos. But this is no mere pretty nostalgic picture book. Federspiel is obviously familiar with Hemingway's oeuvre, and laces the text with literary references and observations." Picturing Hemingway's Michigan knits together sort pieces of text around scanned photos, documents and even newspaper articles to place the future writer in an environment later shared with readers in short stories and novels that helped to revolutionize the American novel." Federspiel expertly pairs Hemingway's vacation snapshots with vivid passages from The Nick Adams Stories and A Moveable Feast that seem to spell out in words what you see in the photographs. . . Picturing Hemingway's Michigan is a satisfying read and a fascinating insight into a great writer's process from memory to imagination to the written page." Combining vintage Hemingway family photos with excerpts from Hemingway's writings, 'Picturing Hemingway's Michigan' is an exemplary and unique approach to regional American history and a highly recommended addition to academic and community library collections, as well as inherently fascinating, informed, and informative reading for students and fans of Ernest Hemingway's work. Federspiel has done a wonderful job not only placing Hemingway's Midwestern work in its historical context, but also describing the Michigan of the time, its hotels, its waterfronts, its resorts. The text is accompanied by attractive period illustrations, maps, and archival photographs, many from the Ernest Hemingway Collection at the John F. Kennedy Presidential Library in Boston (a photograph of a teenage Hemingway aboard a Michigan steamship is a revelation). This is a marvelous document of a lost time and place and a must for Hemingway fans." This is a beautiful and engrossing book, richly illustrated and deftly narrated. It vividly evokes the northern Michigan that Hemingway knew and loved as a youth and that stayed with him for the rest of his life, inspiring some of his most memorable and enduring works. Scholars and aficionados alike will enjoy poring over the wealth of new material it offers and will come away with a deeper understanding of Hemingway's formative years." Picturing Hemingway's Michigan is a valuable historical record of the place and circumstances that most influenced Ernest Hemingway's character and early writing. Using a clarity of prose and a judicious selection of archival photographs, author Michael Federspiel provides a charming, insightful account, guaranteed to delight both literary and history buffs as well as the curious reader."